Walt Disney is justly famous as an animator, a builder of theme parks, and a creative genius. He was also a businessman, even though he disliked business. In this definitive and extensively researched book, you'll meet a lesser-known side of Walt Disney—his business side. From his paper routes as a kid growing up in Kansas City, to his films and his theme parks, Walt Disney has always been a businessman. But he's seldom seen as one. Most people believe that Walt's unique genius, coupled with a limitless supply of "pixie dust", led to his many effortless triumphs. Of course that's wrong. Walt always struggled with business and financial issues. He wasn't good at solving those issues, but he was able to transcend them. Walt didn't care about corporate hierarchy, about safe investments, or even about turning a profit for the sake of turning a profit—in fact, he turned his back on the conventional wisdom of how to run and expand a business. And yet he became one of the most successful businessmen of the 20th century. How did he manage it? Barry Linetsky spent several years penetrating the pixie dust. His magisterial history of Walt Disney, the businessman, starts with the first dollar Walt ever earned and examines in detail how he built his empire, and how Walt overcame disasters that should have shuttered his dreams for good. 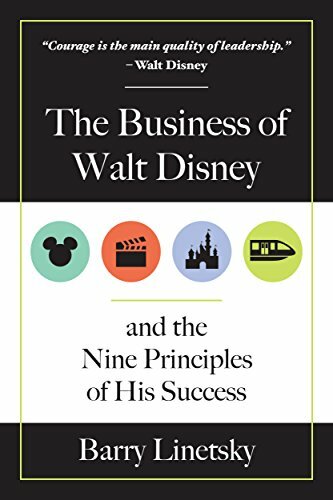 In addition, Linetsky identifies the nine principles that guided Walt throughout his life, and that together formed a blueprint for his success. You've read all there is to read about Mickey, about Disneyland, and about all the cute animated films. Now dive into the dollars and cents that made those things possible.